I was recently sent an Influenster VoxBox containing L'oreal Hair Expertise products chosen just for my hair. I happened to have gotten the Total Repair 5 line of hair care products. I was already a huge fan of Total Repair 5 and even have a really old review up on it, but since writing a blog post was one of my assigned tasks, I thought why not write a new one. 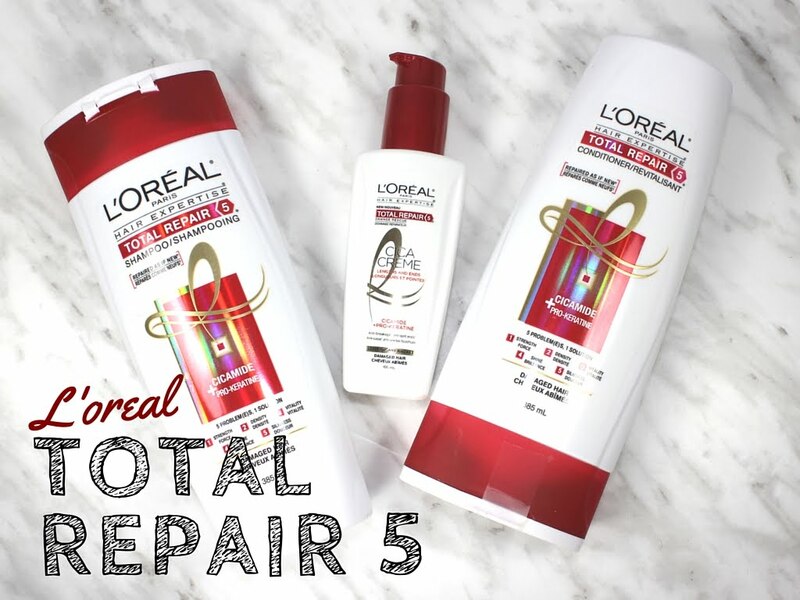 Total Repair 5 is a line intended to repair even the most damaged hair. It in 5 ways: strength, density, vitality, shine and silkiness. There are currently 4 items in the line, a Shampoo, Conditioner, Replenishing Mask and Creme Anti-Split End Treatment. The shampoo is relatively thick and creamy, you might even mistake it for a conditioner, but it is just little bit thinner than that. It foams well and gets your hair clean easily while leaving it feeling really nice. The conditioner is of the average consistency and is quick to rinse out and really well. No residue left behind, really light and fluffy smooth hair is though. The hair mask I tried years ago and absolutely loved, it was thinner than most hair masks in tubs, but performs absolute fantastically. It is one of those enigma things, it feels just like a normal conditioner, but man can it repair you hair, and leaves it feeling fantastic and somehow not weighed down at all. The Creme Anti-Split End Treatment was new to me but is a really nice product to put in your hair after washing it. It is sort of like a leave in conditioner but also a treatment. It works really well and left my hair feeling great. My big thoughts on the line are, I love it. Plain and simple, 5 years in and I am still loving it as much as I did when I first tried it. My hair always feels light and manageable after using the products. It also feels incredibly soft and silky. It is really amazing. If your hair is damaged from lots of colour treating or heated tool use you may love it too. One of the fun things about being a part of Influenster is getting to do strange tasks. Here are my oh so fun pics for other tasks. 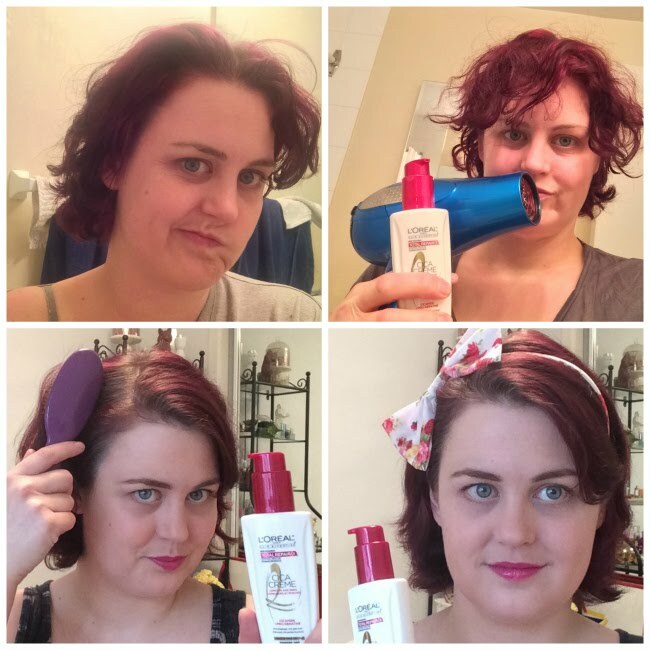 My before hair, my favourite heat tool, me brushing my hair and my repaired after hair. Truthfully I feel silly sharing these, and since I lopped off all my hair recently and coloured it I don't think this was the before and after shot. Regardless there it is. 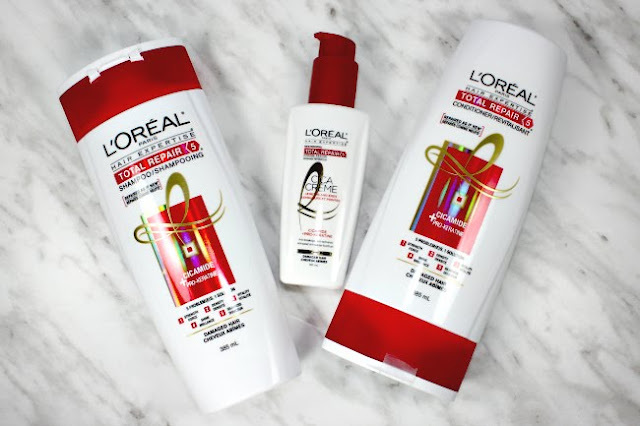 Have you tried any of the L'oreal Hair Expertise collections before? What did you think of them? * I was sent these products from Influenster in exchange for an honest review.